Camouflage body skin will hide you from the competition. "We had painted cars in the past, and could never get the finish right. The camouflage skin worked perfectly. It took about 10 minutes to apply to the car and we were ready to race. My son was really happy with the results. Will purchase next year." Camouflage your Humvee, Army Tank or Military car...custom paint without the paint! Easy to apply pinewood derby Body Skin. Full body cover or use for accents. Just lay your car on the body skin, trace it, cut out the pattern you want, apply pattern to the car, wet with a sponge and your car will have a perfect finish! Even includes black sections for windows! Note: do not put body skin where wheel touches the car body! The body skin will slow your wheels. hard to use - challenging to apply. the skin was flakey once dried. handling the car to add wheels results in messing up the skin even more. we will just use paint next time. We had painted cars in the past, and could never get the finish right. The camouflage skin worked perfectly. It took about 10 minutes to apply to the car and we were ready to race. My son was really happy with the results. Will purchase next year. Another Pro is they give you enough to try again but this stuff is a bit tricky to work with. The very, very first thing you want to do is "seal your wood!" with a wood sealer. That's paramount! Otherwise as you wet the block it will soak in, then it's hair dryer time and the grain will raise. Now, the sticky part that you have to get to peel away, really doesn't stick all that well but it does stick. Rub it well. I then tried a sponge several times to wet pieces but ended up using a Q-tip to dab on water. Here's where it's tricky. Too much water and it soaks thru so much your very thin skin won't stay put. Too little and it won't release. Start dabbing water with Q-tip (soaked) and work back and forth till you get to the end. It takes a few tries to get the feel for when it releases and you can peel your salvage away. Need a steady hand and lots of patients but it will stay. We took best paint job , which ment best color scheme. It is tricky to work with. With a little help from Grandpa, the skin went on smooth and the look was just what he wanted. Use care and do not be an a big hurry. the overall look of the Humvee came out great. The car won best detail at the derby. Once you wet the backing the skin will start to come off immediately. I would like to see some instructions covering how long to wet the skin before it starts to peel off the paper and onto the derby car. It helps to apply this as you would a child's tattoo...(but it would have been lovely to know that before ruining a good portion of it). It would also be nice to know you shouldn't touch it until completely dry. Overall, we love the way it looks, and it helped my son win 'Crowd Favorite"
This goes on easily and looks nice, however it doesn't tear very easily even once it's on the car. so be careful with it! Overall, since it was my son's first year and we wanted a camouflage look, we are happy with it. My grandson wanted an Army vehicle so we chose to apply this design. It turned out fantastic! Easy to apply too. Gave us the look that we wanted on our racer. Takes a bit of skill to apply. 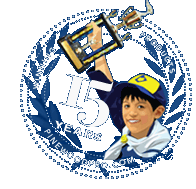 Click here to view Pinewood Body Skin - Camouflage - no painting! I liked it because it gives you a look that cannot be duplicated with painting, but it is delecate and needs to have a coating or varnish on it to protect it from tearing.